Hardy Princess 2 Screw Line Guide Made in England in Excellent Condition. Great #5/6 Fly Reel with that Great Hardy Sound. Call the shop at 208-772-0372 or E-maqil me at Grizzking@aol.com to use your Credit card. Hardy LRH Lightweight Silent Check Drag with 2 Screw Line Guide in Excellent Plus Conditon. Great Classic Reel for up to #5 Lines. Call the shop at 208-772-0372 or E-mail me at Grizzking@aol.com to use your Credit Card. Hardy Princess 2 Screw Line Guide Made in England in Excellent Condition. Great #5/6 Hardy that can be used in either Right or Left Hand Retrieve. Great Hardy Sound. Call the shop at 208-772-0372 or E-mail me at Grizzking@aol.com to use your Credit Card. 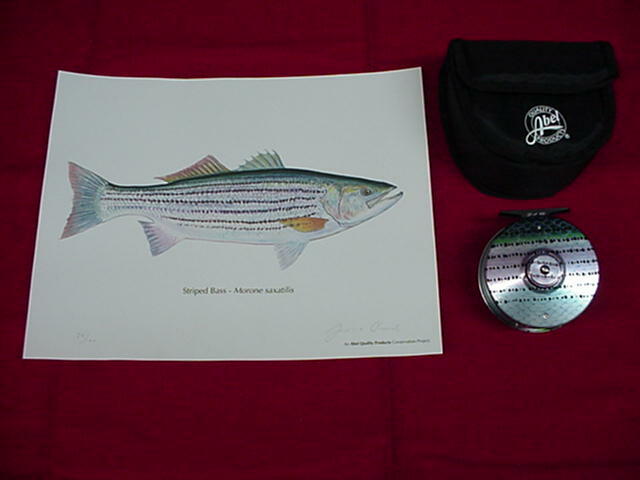 Abel Super 8 Limited Edition Fly Reel with Limited Edition Print from James Prozec. Beautiful Reel and numbered #1 thru 100. Only 100 Made. I have a few low numbers left. Call the shop at 208-772-0372 or E-mail me at Grizzking@aol.com to use your Credit Card. 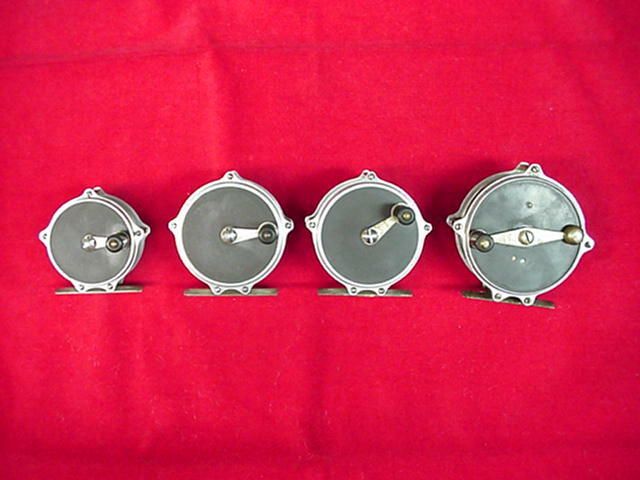 H L Leonard Raised Pillar trout Reel Set in AS NEW Condition never lined or fsahed. ULTRA RARE AND A CENTERPIECE OF ANY COLLECTION IN THIS CONDITION. Call the shop at 208-772-0372 or E-mail me at Grizzking@aol.com to use your Credit Card. Joe Saracione Mark IV Trout Reel in 2 3/4in for up to #4 Lines. 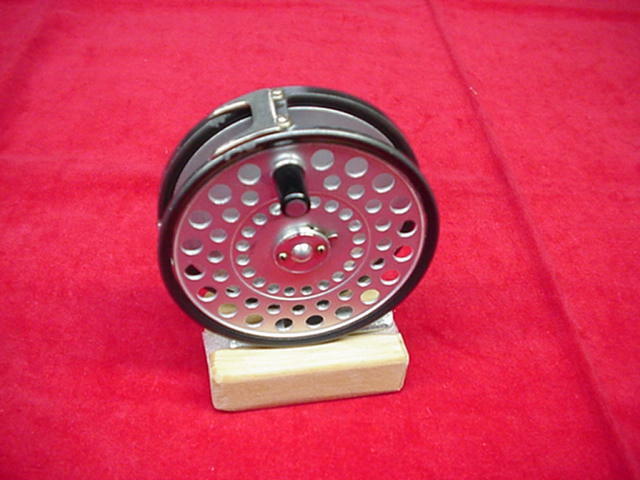 Great Classic Looking Reel with "S" Handle and availab le in either RHR or LHR. Call the shop at 208-772-0372 or E-mail me at Grizzking@aol.com to use your Credit Card. 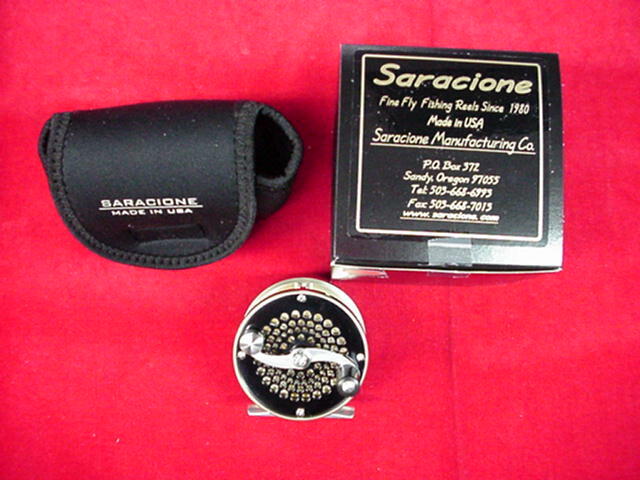 Joe Saracione 4 1/4in Spey Reel NEW. Available in either RHR or LHR. Great Classic design by a Great Maker. Call the shop at 208-772-0372 or E-mail me at Grizzking@aol.com to use your Credit Card. 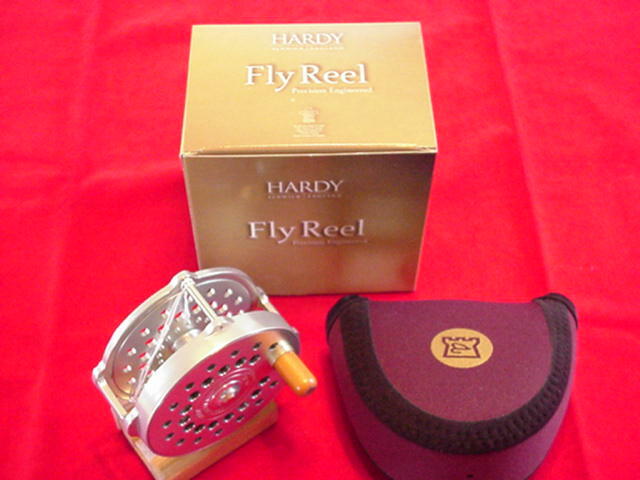 Hardy Bougle Mk VI 3 1/4in Diameter Fly Reel NEW IN Box and Made in England. One of my favorite #5 Line Reels. Perforated Sideplates and Bone Handle. A Gorgeous Reel and the Last of the Bougles made in England. Call the shop at 208-772-0372 or E-Mail me at Grizzking@aol.com to use your Credit Card. 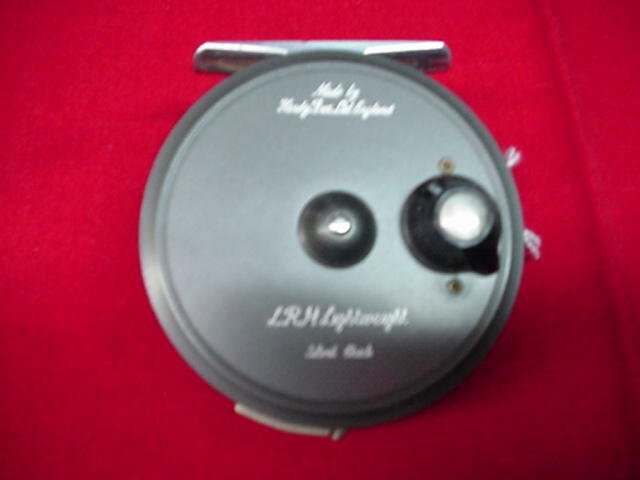 Hardy Bougle Mk VI 3 3/4in Fly Reel Made in England NEW IN BOX. 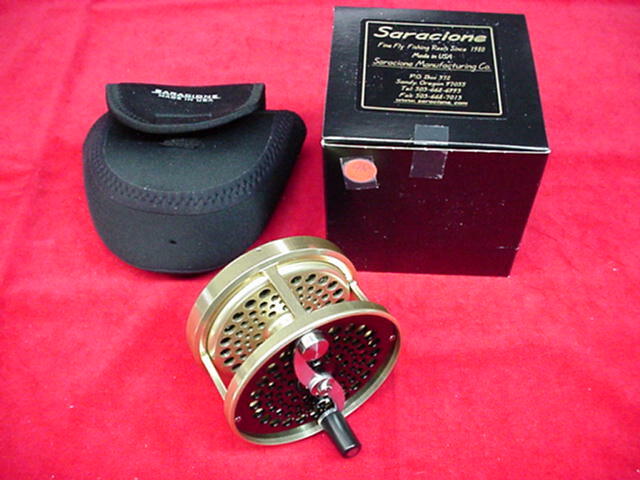 Great #8/9 Line Reel with Bone Handle and Perforated Spool & Sideplate. Call the shop at 208-772-0372 or E-mail me at Grizzking@aol.com to use your Credit Card. 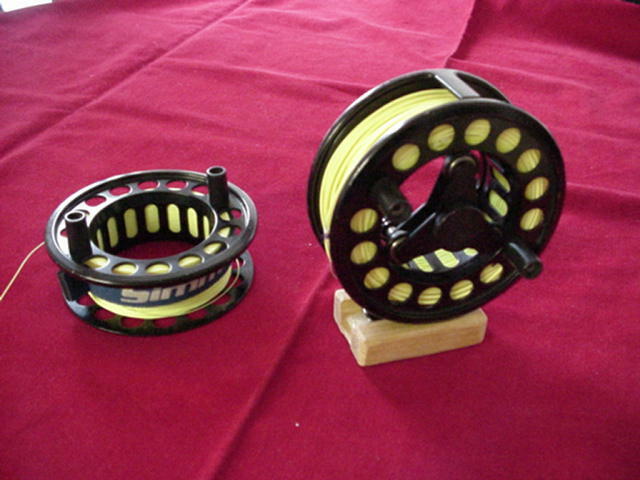 Loop Model 711 Large Arbor Fly Reel with a Bonus of an Extra Spool. 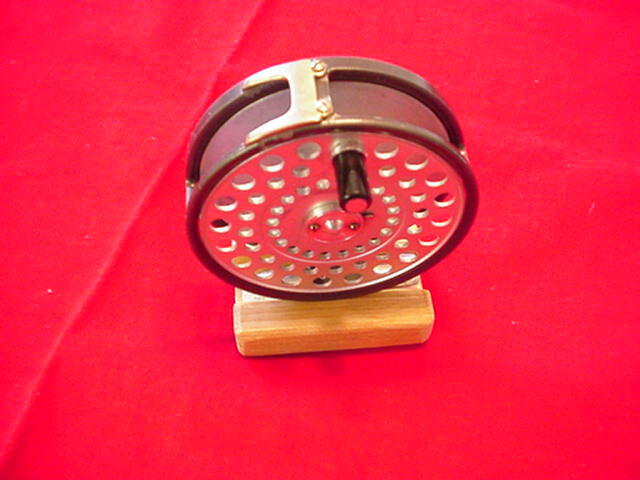 The First Large Arbor Reel and made to hold the Largest Spey Lines with Backing. Excellent Condition and Right or Left Hand Retrieve ready to fish or collect. Call the shop at 208-772-0372 or E-mail me at Grizzking@aol.com to use your Credit Card.